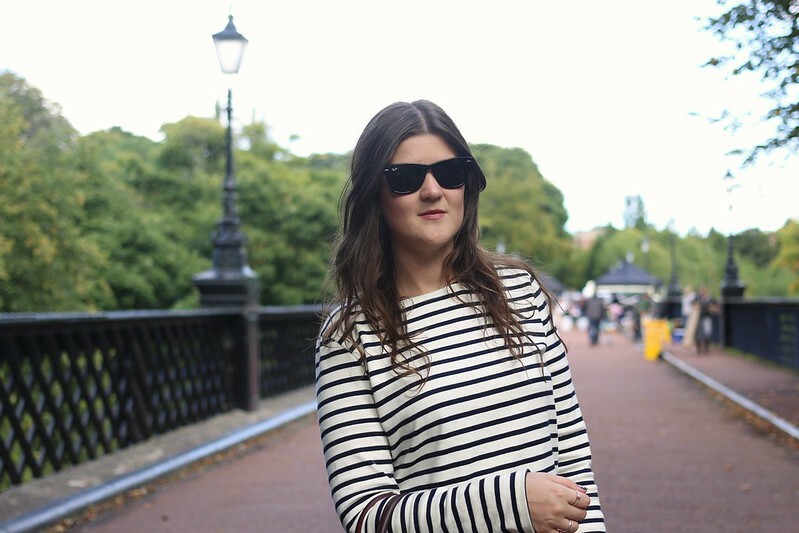 Breton top: Petit Bateau, jeans: BDG, bag: Mulberry, sunglasses: Rayban, watch: Daniel Wellington. Despite filling the house with pumpkins and dried berries, I seem to have fallen out of love with autumn lately. It’s strange though because I’ve always loved the colder months. The darker nights, crisp mornings, bundling up in loads of layers. But this year, Autumn feels like it crept up too soon. Or maybe it’s just that the year has just passed too quick? I’m not sure. Either way, I’m not making the transition into Autumn well. It feels far too early for my big coats and thick jumpers but I’ve finally resigned to wearing tights again. Reluctantly. Instead my wardrobe has felt a lot simpler. 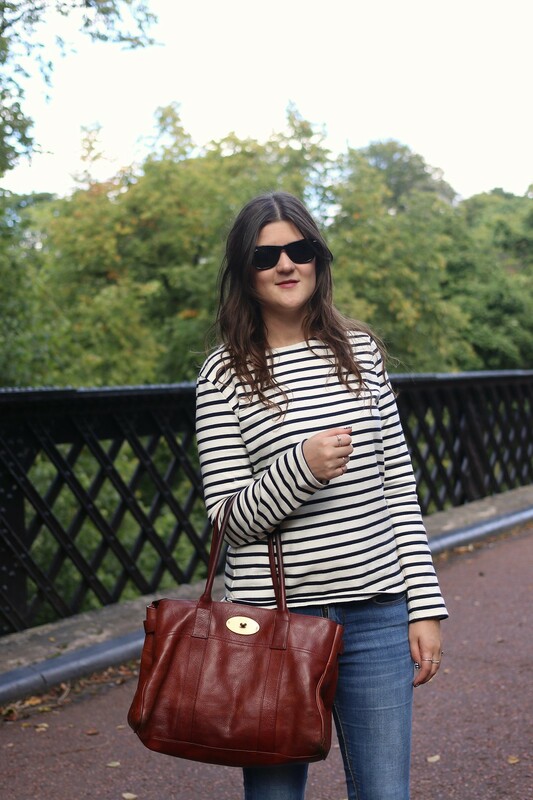 I’m favouring breton stripes, jeans and a battered old Mulberry. 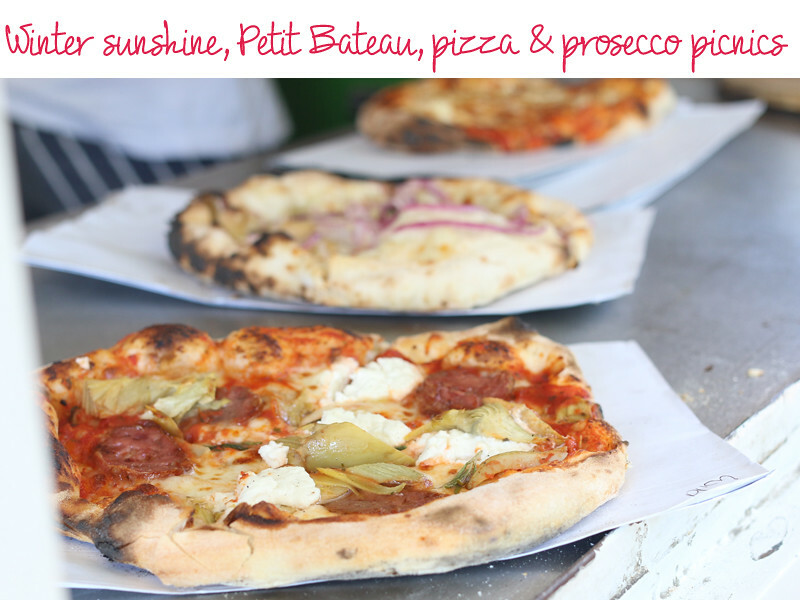 Old classics and new favourites that just seem to suit any occasion, from running odd errands to rummaging around Jesmond Food Market. If you follow me on instagram, you’ll already know that the Orla Kiely manicure gives these away as last month’s Jesmond Food Market. But somehow the last month sort of ran away with me… so I never quite got around to putting the post together. 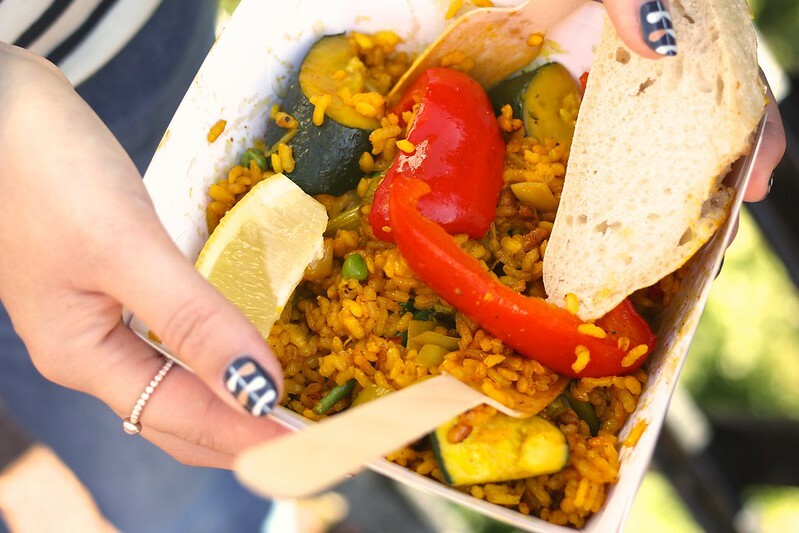 If you’ve not come across Jesmond Food Market yet, it’s the brain child of Anna Hedworth (aka The Grazer) and is a monthly market that brings together some of the best food traders in the city. Along with a range of other floral, plant and produce stalls. Basically Jesmond Food Market is just the perfect excuse to wander along Armstrong bridge and into the Dene after indulging yourself in an afternoon of good food. Or in my case, buying a pile of food and setting yourself up with a wintery picnic and making the most of the sunshine. 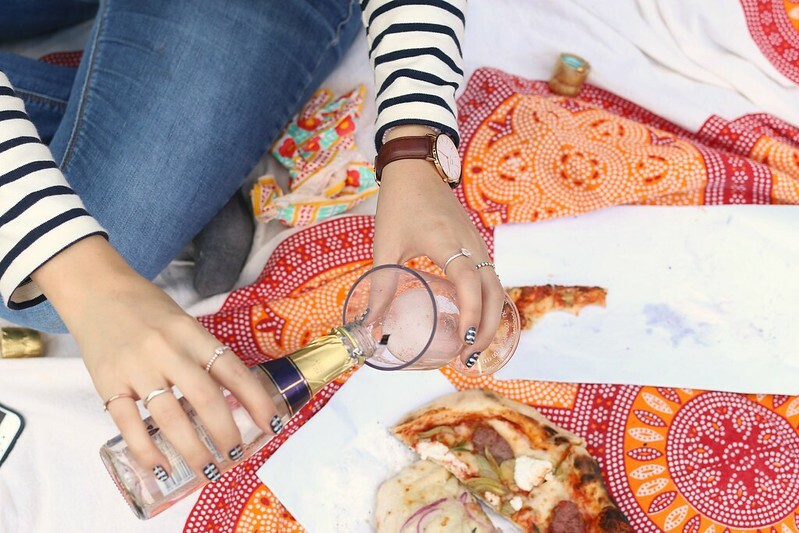 Is there any better way of spending a saturday afternoon than with freshly cooked pizza and prosecco? Probably not. So if the weather holds out, you can bet I only need half an excuse to treat myself! 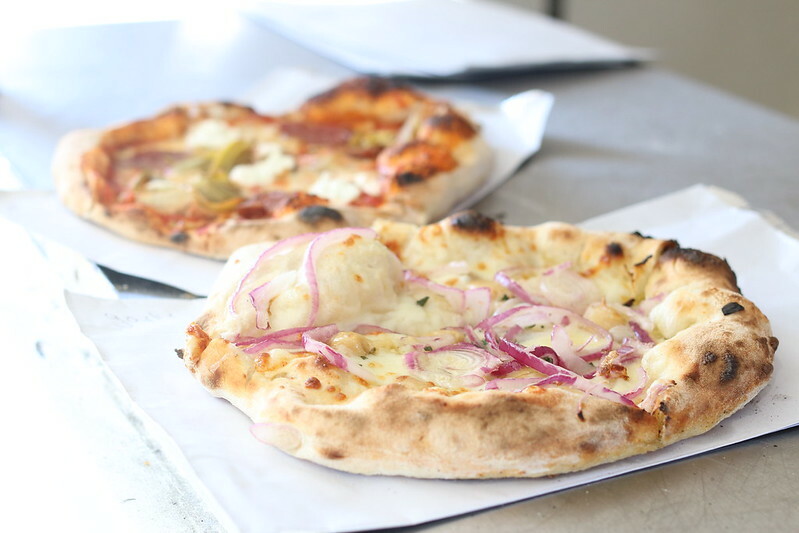 Since the market is still only really starting out, the last couple of months have seen a great mix of local traders. Plus it’s actually been years since I bothered to wander around Jesmond Dene, so it’s nice to have a reason for venturing over and wandering around. You know when you have something really beautiful so close by that you just forget it’s there? And now that autumn feels like it’s finally arrived, it’s starting to turn the perfect shades of orange and brown. Maybe when I start to feel that crunch on the ground, I’ll get back into that autumnal mode and dig out my proper winter wardrobe. But I’m sticking with the breton for now.